We received some products for review from Rhinoplay . These are a pet toy brand from godog . Our dog Leo loves playing with his toys. 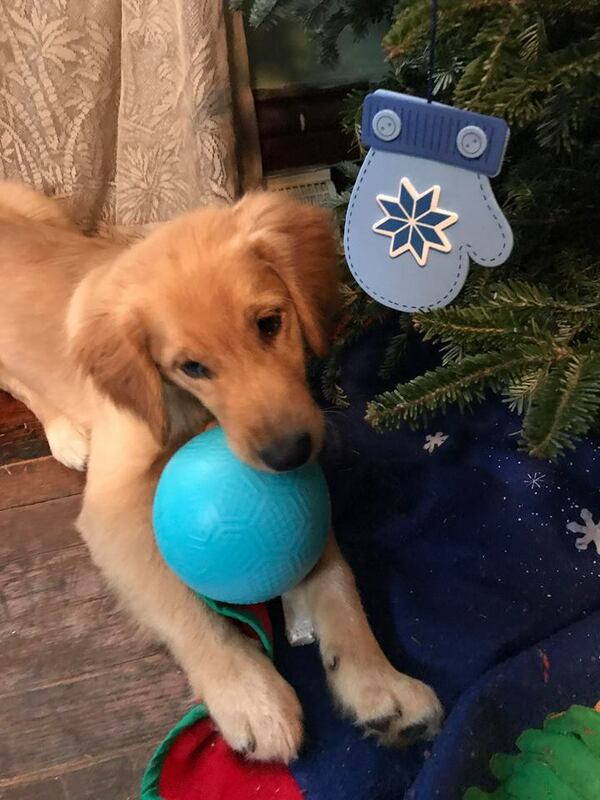 We received a large blue Beast ball from Rhinoplay and he's been having a great time playing with this ball. 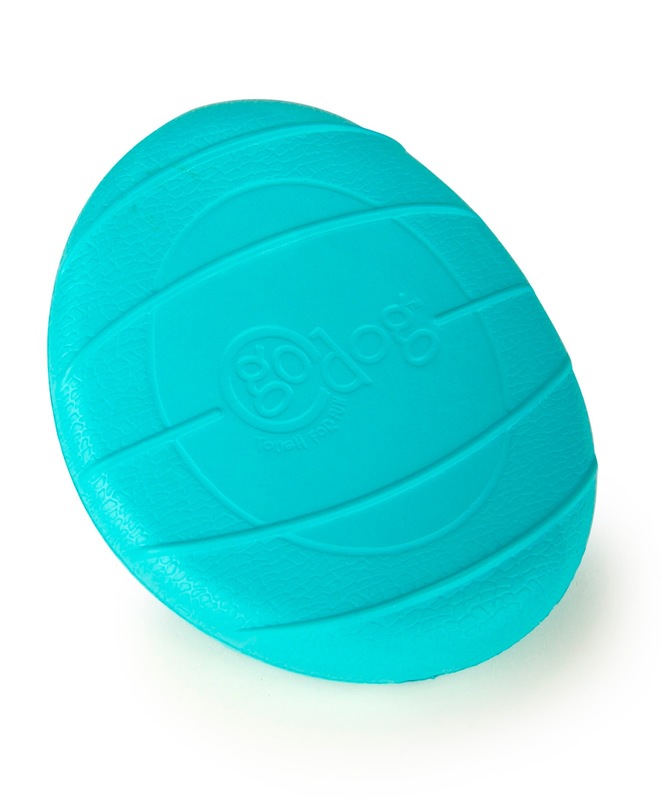 What makes the Beast a great ball for pets is it's a puncture-proof ball that never goes flat! 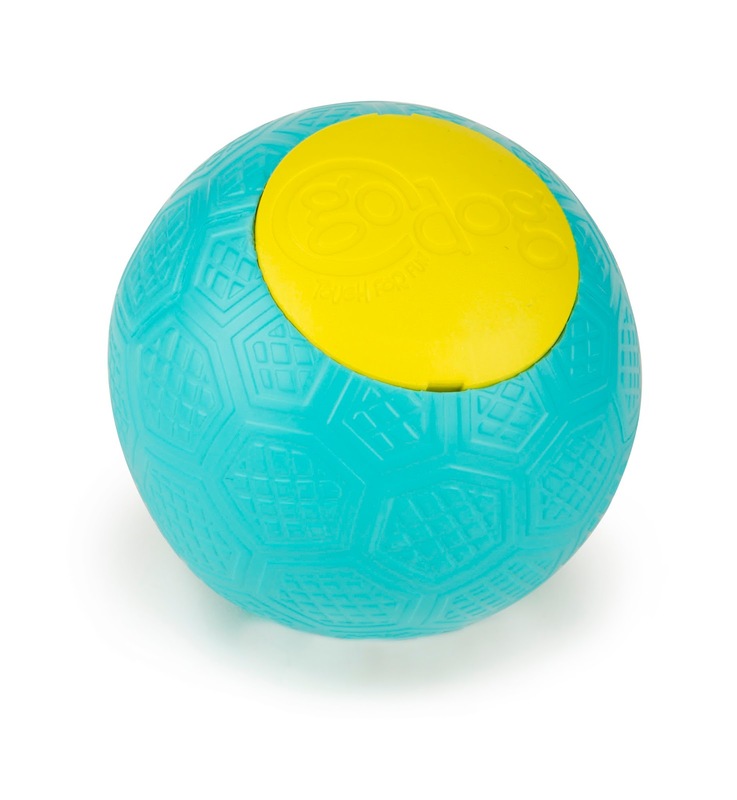 This cool ball features a unique self-inflating valve so it will re inflate, even through tough play. The Beast is made from a light but very durable foam that floats. The ball is great play for dogs outside. Leo is also helping us review a large yellow Vexo, a stick shaped toy. The Vexo is concave shape makes it easy for dogs to carry. This toy is made from light but very durable foam that also floats. Pets can play indoor with this toy. We also received The Cirq, which is a round toy shape with a square center. A channel around the underside of these toys makes it easier for dogs to carry. 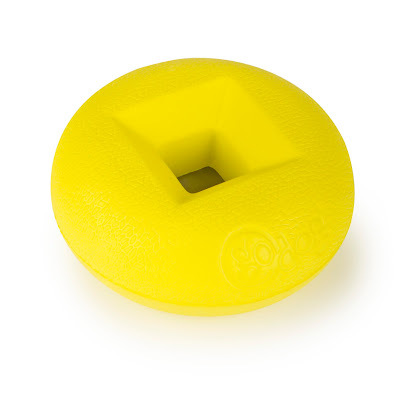 This toy is also made from a light but durable foam that floats. RhinoPlay also sent is The Flip for a review. This toy is a fun, chip-shaped toy that always lands with one side up so it is easy for dogs to carry. This is made out of the same light and durable foam that floats. Leo loves these toys not only are they easy for him to play with, their durable and hold up to being thrown around and chewed on. I can't tell you how many dog toys we have been through that have to get thrown away usually not long after we bring it home to Leo. Finding a brand of dog toys that are going to last is great. Quaker Pet Group is committed to providing pet products that will enrich the lives of pets and their pet-parents world-wide. They offer innovative, solution-based products to meet all of your pets needs. Not only are these toys great but portion of all proceeds are donated to charities that support the human-animal bond. Following the giving model of the One World Play Project a portion of all proceeds of goDog RhinoPlay dog toys will be donated to organizations that promote play and work to enhance the bond between humans and animals. Play is a necessary social experience for both dogs and children. Worldwise will donate both monetary funds and goDog RhinoPlay product to the organizations below to help them continue their missions benefiting both children and animals throughout the United States. Leo is adorable! This toy sounds like so much fun! I will have to check it out for my puppy nephew! These sound like the perfect toys for dogs--who admittedly can be rough on their toys! I love it that they give back to charities that promote animals and children! My dog has always been rough on his toys! I'll have tho check this out since they're puncture-proof! If the ball was smaller, my cat would play with it. She loves to play fetch. All of these toys look great! I have a pretty young puppy and she can be quite tough on her toys. I think that these would stand up well to her abuse! Looks like he really enjoying his New toy. I think I should buy this for my fur babies. They must be happy having this. That looks like a great toy for dogs. i need to have ths for my dog. They will love ths for sure. I definitely need to get The Flip for my Biscotti. She is a very small dog and has a difficult time picking up toys that do not have lip or some sort of edge to them. Thanks this has been very helpful. That's great when you can find them a toy that isn't one of your shoes. My friend used to give her dog old shoes to chew on, but her plan didn't work, he couldn't differentiate old shoes from new shoes. A good toy is much better. Aww Leo looks like he is really enjoying his new treats! He is truly gorgeous, makes me want a little dog companion of my own! 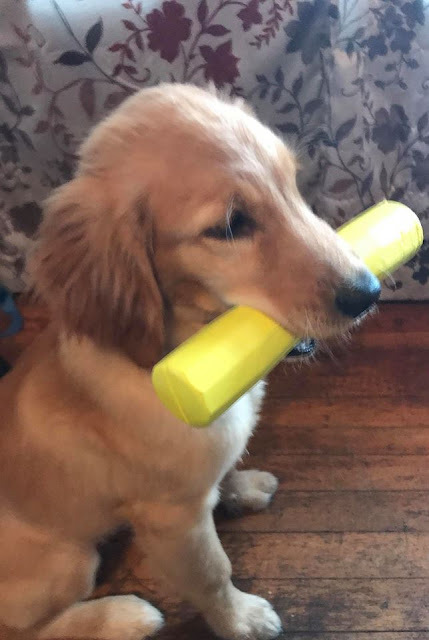 A friend of mine just adopted a puppy and has been looking for durable "chew" toys. These look like just the type she needs to keep her dog entertained and from chewing up her $600 glasses. My beagles would love these toys. They chew through everything. Your baby is just the cutest puppy! My babygirl would definitely love these toys and she is so ruff on toys. They don't last an hour usually and I'm gonna have to try these out. Would love to have this too for my lil puppy. Looks nice. Great brand too!